If you're looking for this week's Friday Fragments, click here. 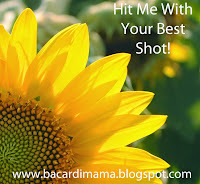 Every Friday, Bacardi Mama is our host so we can show off our favorite picture of the week. In her words, "The premise is easy. All you have to do is show us your favorite picture you took over the past week. It doesn't matter what it is. If it is your favorite, that is what you post. Pretty simple, right? 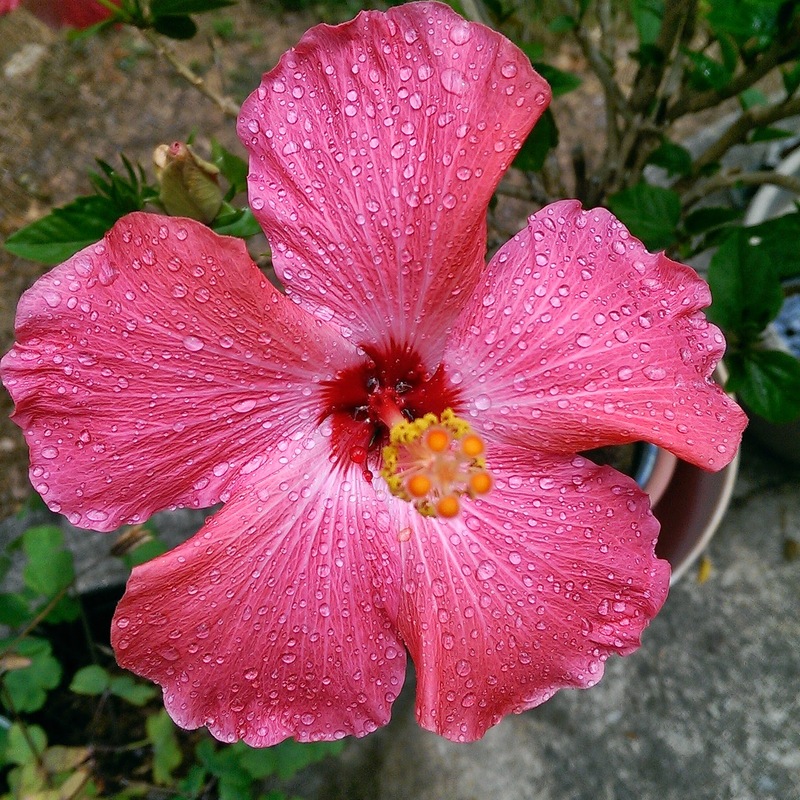 So here we go...."
I snapped this picture of my small hibiscus that is on my back porch. It had just stopped raining, and the water drops looked like little diamonds. I used my phone, which is an HTCOne. That is really beautiful! Love the water droplets and the beautiful pink color of the flower! Good job! Nothing prettier than a pink flower, unless it's a pink flower with raindrops on it. Great photo! BTW, wish we had both known we would be in Mobile at the same time. Beautiful place, isn't it?! So pretty. I love the color of the flower. That is just beautiful. You can see every little droplet of water. Thanks for joining in. A bit of tropical in the mountains!!!! I love pictures after the rain. Beautiful! I love raindrops on flowers..very pretty.